A very excited thank you to my friend Amy for this very cool find! 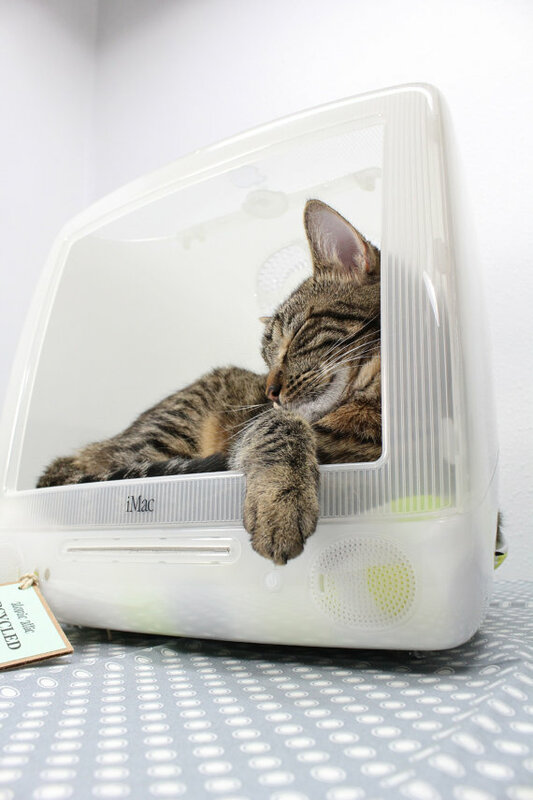 Who would have thought that some day you could purchase or create a pet's bed from an old computer? 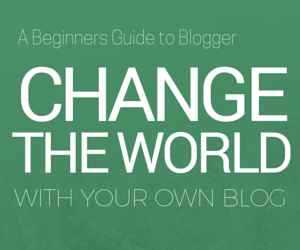 Well, AtomicAttic has done just that! The pet beds come with a fluffy cushion and a removable, machine washable slipcover. 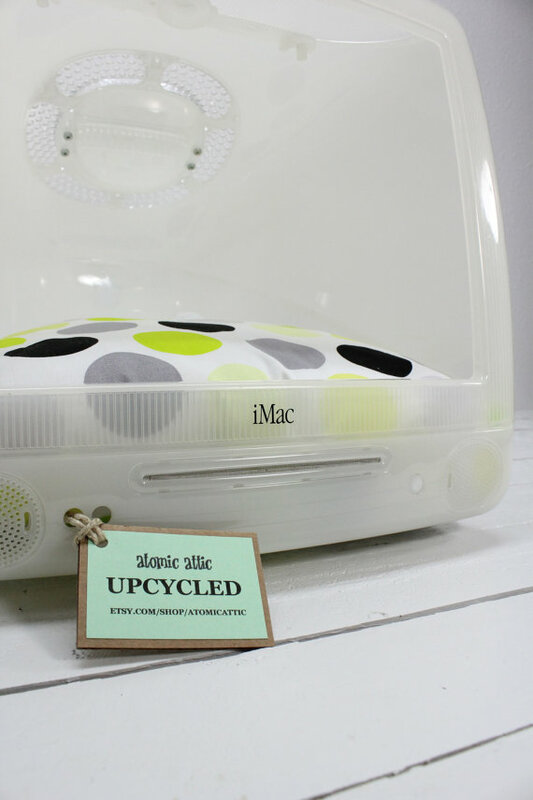 AtomicAttic has also decided to upcycle the original speakers from the iMac into the pet bed's braces, which prevents it from rocking or moving. Keep scrolling to check out the different designs. 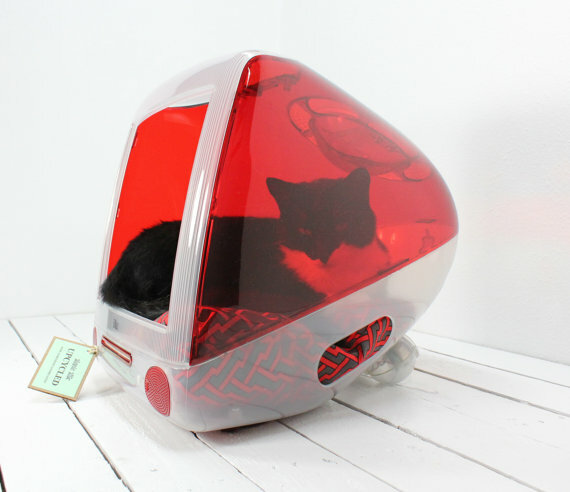 Omgosh I'm buying one for my cat!